Frequent deletions of tumor-suppressor genes at chromosome 3p21.3 have been detected in esophageal squamous cell carcinoma (ESCC). As a candidate tumor suppressor gene, semaphorin 3B (SEMA3B) is located at 3p21.3 and is frequently inactivated in several tumors. However, the role and inactivation mechanisms of SEMA3B and its antisense long non-coding RNA (lncRNA) SEMA3B-AS1 in the carcinogenesis of ESCC have not been fully elucidated. The present study was conducted to investigate the role, epigenetic inactivation mechanisms, and prognostic value of SEMA3B and SEMA3B-AS1 in ESCC tumorigenesis and prognosis. Frequent downregulation of SEMA3B and SEMA3B-AS1 was detected in esophageal cancer cells and ESCC tissues, and the expression level of SEMA3B and SEMA3B-AS1 in ESCC tissues was correlated with TNM stage and lymph node metastasis. SEMA3B and SEMA3B-AS1 shared the same CpG island in the promoter region and the expression of both genes might be regulated by the promoter methylation status. Furthermore, transcription factor Sp1 activated SEMA3B or SEMA3B-AS1 transcription and the promoter hypermethylation of SEMA3B and SEMA3B-AS1 influenced Sp1 binding ability. 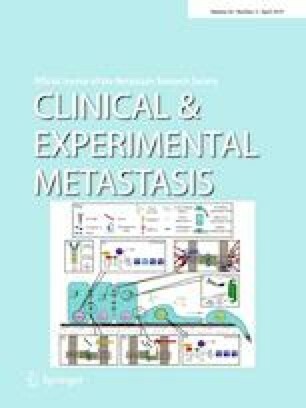 Moreover, over-expression of SEMA3B and SEMA3B-AS1 suppressed the viability and invasion of esophageal cancer cells in vitro. SEMA3B-AS1 influenced the protein expression of SEMA3B. SEMA3B or SEMA3B-AS1 expression and promoter methylation status were correlated with ESCC patients’ survival. Thus, these findings suggest that SEMA3B and SEMA3B-AS1 may act as tumor suppressors and may serve as potential targets for antitumor therapy. Zhiming Dong and Xiaoliang Liang contributed equally to this work. The online version of this article ( https://doi.org/10.1007/s10585-019-09964-3) contains supplementary material, which is available to authorized users. This study was supported by Grants from the National Natural Science Foundation (Nos. 81472335, 81572441, 81772612), Natural Science Foundation of Hebei Province (Nos. H2015206196, H2015206420).